Highlights of trip: Telugu food, Tamil food, Beach on full moon night & confidence on Tamil Nadu roads. 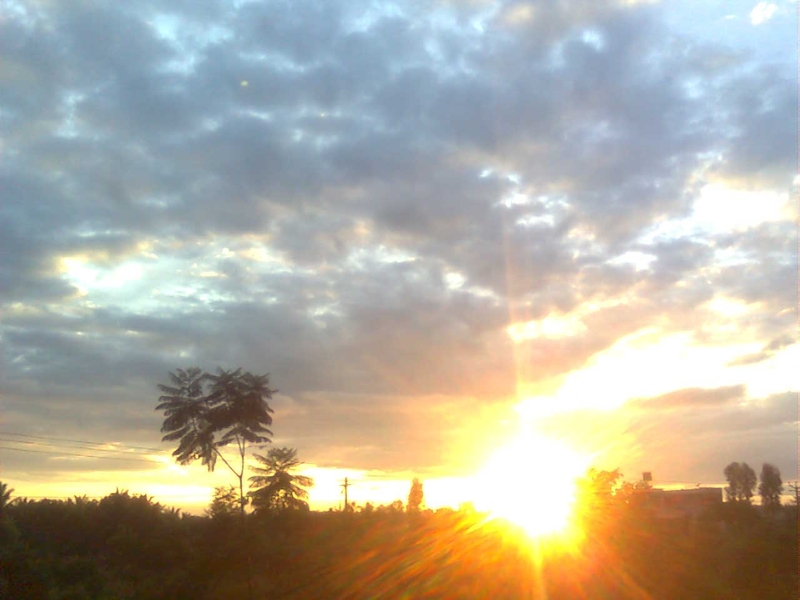 N how can I forget, the best sunset view I had in my life. Drive from Bangalore to Kolar was also awesome, despite roads under construction. It was awesome beacause of early morning fog, through which we were zooming like a blade tearing away a paper. Mypedu Beach: The beach is 22 kms from Nellore. We went there in mid-night. It was different n awesome experience, as it was a full moon day. The silence n beauty of beach was perfect for a poet to author his/her creation. 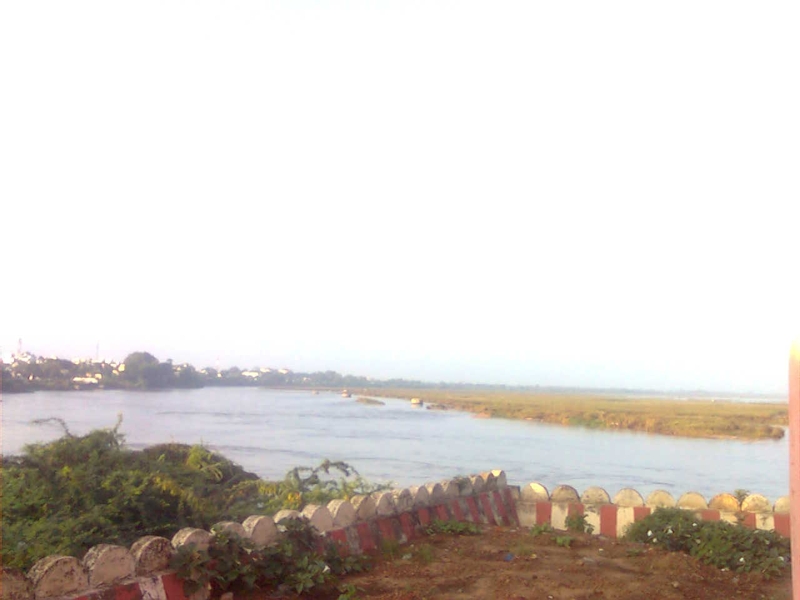 Rangasamy Temple (Nellore): A beautiful temple on bank of river Penna. I had one of the best “Impromptu” sunset view here. Sadly it was just for few mins. But the temple, with background as sunset on river Penna, creating pink patterned clouds, made a perfect wallpaper. Sadly, we didn’t had any camera to capture it…but surely its captured in memory, forever. Food Points: There are many in Palamner. Good stop for people heading to Tirupati. 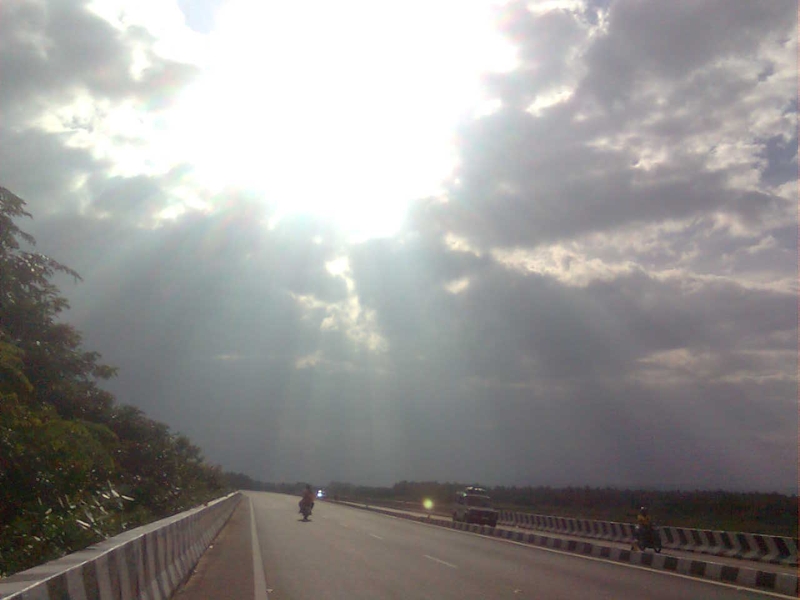 NH-5 between Nellore & Tada had very few. 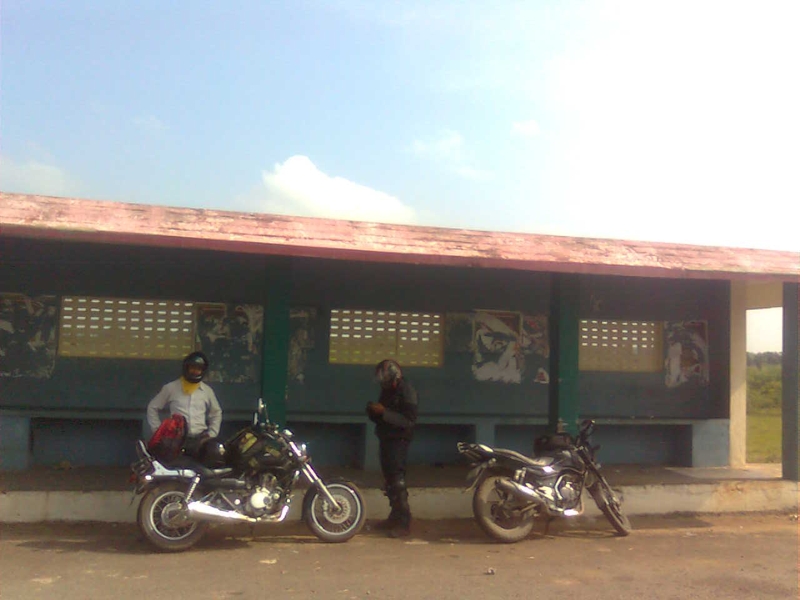 The best we could find, infact the only one, was A1 plaza (reliance Petrol pump), that too just 10KMs before Nellore. We had some cold food there. Service was bad, food was edible, but location was just awesome. The restaurant was surrounded by lush green fields with busy Chennai- Howrah railway line running hardly 20 mts behind the restaurant. Breakfast: Hotel Pavitra Greenland in Palamner (AP), on NH4, run by APTDC. Dosa and special tea n special coffee were awesome. Its got neat n clean toilet, parking facility. We had awesome Tamil thali in one of the dhaba on NH-4 in Sri Perumbadur. Sri Perumbadur has plenty of quality restaurants, mainly because of burgeoning industrial activity in the region. Most of them of course are vegetarian, because of its nearness to Kanchipuram. Road Quality: Bangalore to Kolar in just under construction. Should be avoided on day time for obvious reasons. Hopefully it will get complete in a year time. Kolar to Mulbagal is awesome 4 lane road. Mulbagal to Tirupati, although being two lane, but is an awesome road. Tirupati to Srikalahasti to Nayadupet is OK road. Nayadupet to Nellore is NH-5, which is part of GQ, so need not tell. Return journey was always good. 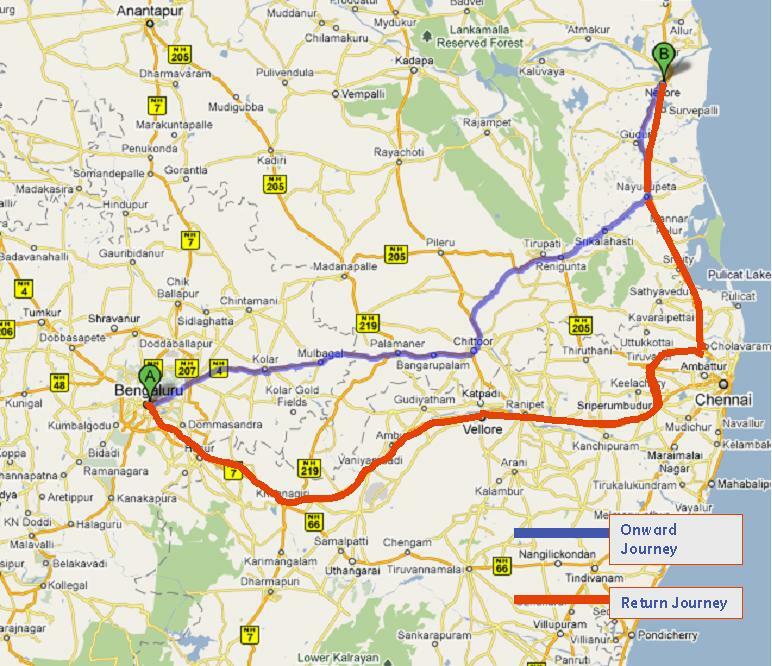 From Cholavaram to Thiruvalur to Sri Perumbadur, we didn’t had any idea, how road would be. Based on our Tamil Nadu road experience, we expected it to be good and so decided to go. And Tamil Nadu govt didn’t disappoint. Roads were awesome. Hats off. Sriperumbadur to Bangalore, is GQ, and its quality need not be questioned..;-). Covered 300 Kms in 5 hrs. 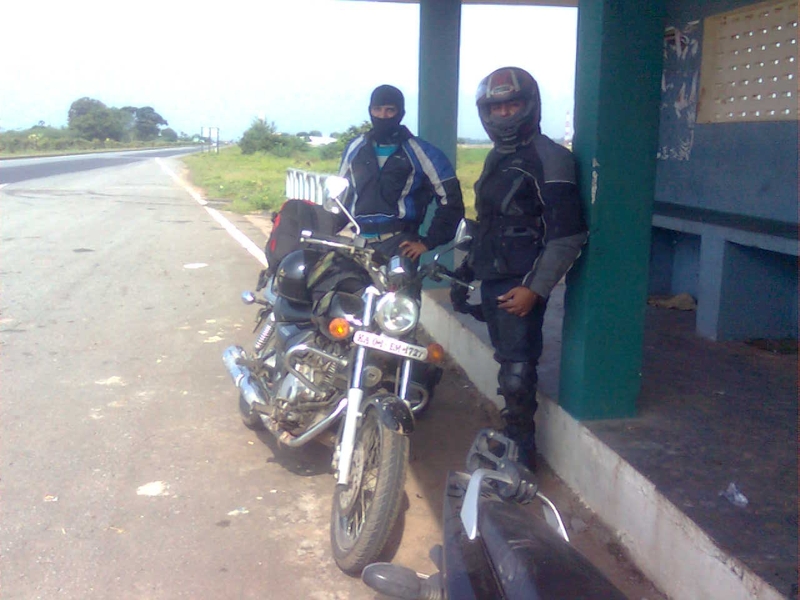 Anyway it was fast n quick trip, with good experience of some of the best roads of India.